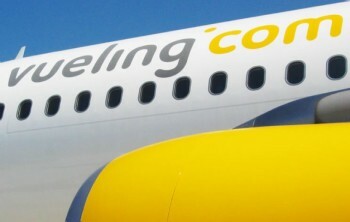 Vueling, the sister airline of British Airways and Iberia, has launched a €4.99 Winter sale on selected routes. Full details are on the Vueling website here. In theory these fares run until 22nd September but you would be crazy to wait that long as I doubt they will hang about. You must travel between 2nd November to 25th March. Not all dates are available but Vueling has a handy calendar so you can easily which days are included. Only the €10 ‘booking fee’ kicks up the cost, but at €9.99 each way after the fee you aren’t breaking the bank. You won’t earn Avios on these tickets (more expensive Vueling flights do earn Avios in Iberia Plus) and neither will you get lounge access if you have British Airways status. It is difficult to complain at these prices though! If your ticket shows as earning Vueling points, you may want to open an account and claim those. There are rumours of Vueling switching across to Avios soon and your Puntos would presumably convert. Here is the full list of routes which touch the UK. You can find full details on the Vueling website here. What happens to your Avios points when you die? Return to Zurich booked for 103 Euros for 2 people in March. Short break in paris 20euros for two return…I mean, how much better can it get? Two day “Curry Run” booked..
AGP – BHX – AGP – 2 pax less than 40 Euros inc booking fee in March..
You cant get a good curry in Spain. Hat tip for the heads up. Have you applied for the remortgage on your house yet? 16March Two of us, Manchester – Tenerife RETURN, total of £35 ! ! Bargain of the year 🙂 Who needs Avios with crazy prices like this…. Spend £2,782 on a two night stay at the Mandarin Oriental Hyde Park via Kaligo and earn (wait) whopping 222,600 air miles. That is a return of 80 Avios per £1. Use this and hit your signup bonus on PRGC (or BAPP) in one go. I only saw an unremarkable 7k avios on the Kaligo site for the said hotel on the said dates. Wondering if that was a glitch. I just want to say thank you to Rob and Head for Points for this. Four return flights for a long weekend from Edinburgh to Paris 46 euros? I’ll have some of that! Vueling website was a bit clunky though as the monthly calendar does not seem to be syncing and most prices had gone up once you click on a specific date. Weekend in Paris in Jan and then some skiing from Barcelona in March! OT: just had a survey from avios about ‘combine my avios”. Looks like all avios are heading for a single portal, as opposed to carrier-specific FFP portals, to enable redemptions with ease on any airline. Reading between the lines IAG are taking a step closer to spinning off avios. Seems penny-pinching Willy is desperate for every penny he can get these days. I see a Vueling ad on some pages of HfP. If it appears on yours and you’re thinking of booking, it would be polite to click on that and help HfP. 🙂 It may depend on cookies, though. – use Extra Person if you want 3 seats for a couple for extra space. For €4.99 it’s a bargain but less so for higher fares. – the payment page has a dropdown box that accepts GBP or other currency.